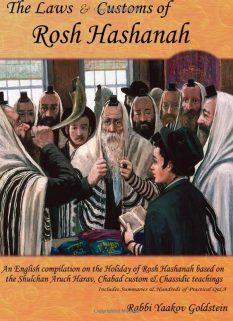 An English guideline for learning Hilchos Shabbos can be used for learning Semicha, and for everyday learning of Hilchos Shabbos. 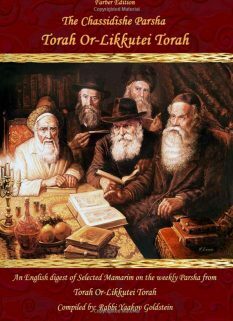 Focuses on the Shulchan Aruch Harav and is split into three volumes. 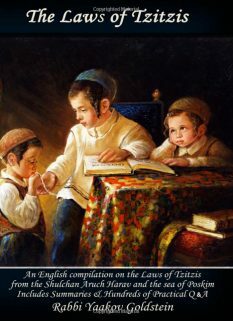 This Second volume contains all the laws in Shulchan Aruch Chapters 313-317 and 319-330 and 334. The laws include: Building, Trapping, Killing, Tying, Borer, Winnowing, Squeezing, Melting, Molid Reach, Dyeing, Salting, Grinding, Kneading, Bathing, Medicine, and Childbirth. Translation of each Halacha from the Hebrew text in Shulchan Aruch Harav. Explanation: Many times we have added words into the translation to help the reader flow through the text, and add proper understanding to the law being read. 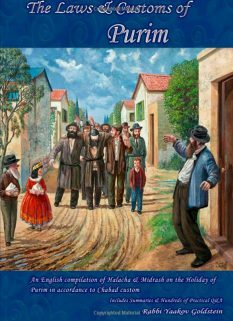 All words added by the translator within a translated Halacha have been placed in brackets so the reader can differ between the translated words used by Admur, and that added by the author. We have also taken the liberty of explaining difficult laws within the many footnotes added into the translation. 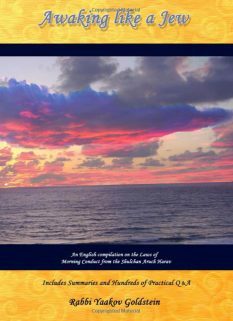 Compilation of the laws in accordance to topic: Many times the full details regarding a specific law being learned in the Shulchan Aruch of Admur is not fully dealt with in that law, and is rather expounded on in later laws or chapters and at times even in another subject all together. Thus we took it upon ourselves to compile all the details of a law mentioned by Admur under the topic of that law. 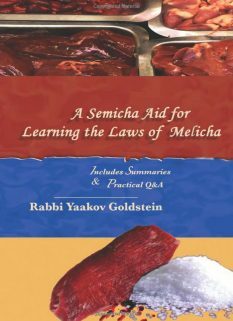 Thus the learner can come to a proper conclusion of the topic of the Halacha being learned. Summary: Without doubt, one of the major features of the book is its concise summary which follows each and every law which is learned. In the Shulchan Aruch there are at times many opinions, many details and reasons mentioned in a given law which effect one understands of the outcome of the final ruling. 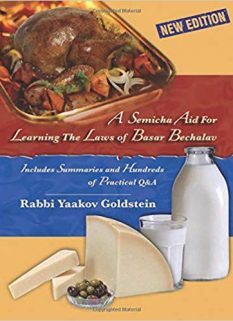 The summary sifts through all the details mentioned in a given Halacha and brings out a clear final Halachic ruling which results from the above. The Q&A: The Q&A which follows each summary lends the learner a greatly needed base knowledge for practical application of the resulting law learned within a topic. Many times even after one has sifted and comprehended the final ruling of Admur, its influence within practical cases remains obscure. This is besides for the fact that researching a question amongst the sea of Poskim is both time comprising as well as not always practical. 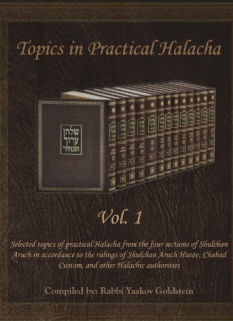 We therefore have compiled many major practical Halachic questions which connect with a given Halacha that was learned. The answers given have been compiled from various sources, including Shabbos Kehalacha, Piskeiy Teshuvos, Shemiras Shabbos Kehilchasa, as well as the many resources of Poskim brought within these Sefarim. 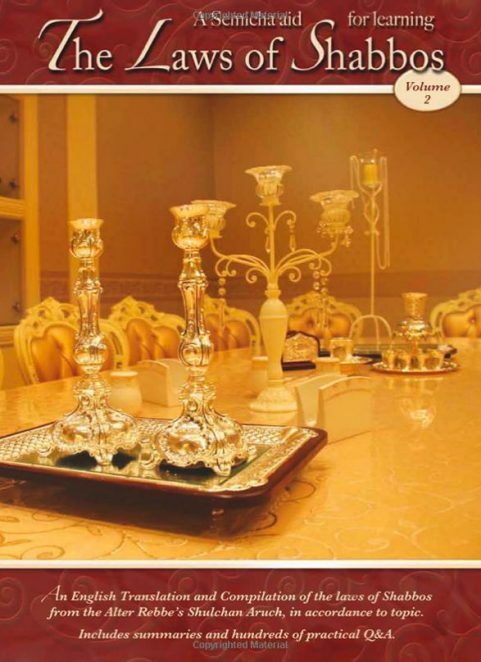 Haskamas: The Sefer contains Haskamas from Rabbi Boaz Yurkavitch, Rav of Chabad in Lod. And Rabbi M.M. Gluchovsky, the Chabad Rav of Rechovot, and member of Beis Din Rabbanei Chabad.